Nothing will look right unless your walls are on point. Modern wood pattern wallpaper is the best choice for someone who loves nature and can best be suited in living room, bedroom or even to rooms with high humidity levels. A good number of people have been deceived into buying quality wallpapers at very cheap prices, whose quality isn’t up to the standards and as such, their durability levels are very low. We are one of the best white wood grain pattern wallpaper sellers in Kenya, a shop that is operational through both online and physical means. This gives clients the chance to buy the best wooden texture wallpapers at any given time, since accessing our products is easy regardless of the distance. What sets us apart from other wallpaper sellers is that our products are very affordable; however, their quality is never compromised. 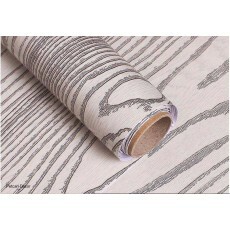 We liaise with expert wallpaper manufacturers, people that have a unique taste and very creative minds.